These Dexter Blood Slide Suckers are a serial killer's sweet. 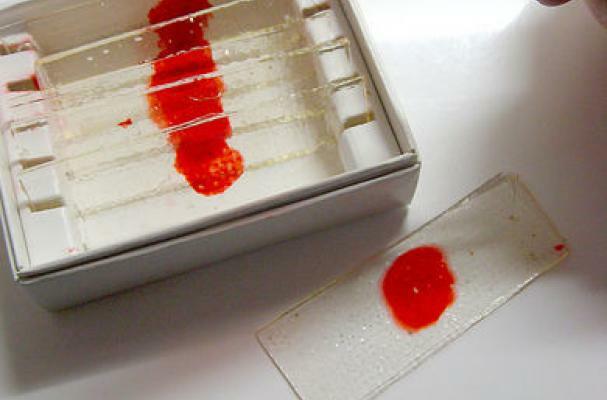 Made by Instructables user Forkable, the slides resemble the forensic analyst's "Trophy Case." The Martha Stewart-inspired recipe would be the perfect bio-hazardous treat to serve up this Halloween. If you're looking for more bloody good treats, check out Magnolia Bakery's bloody cupcakes.